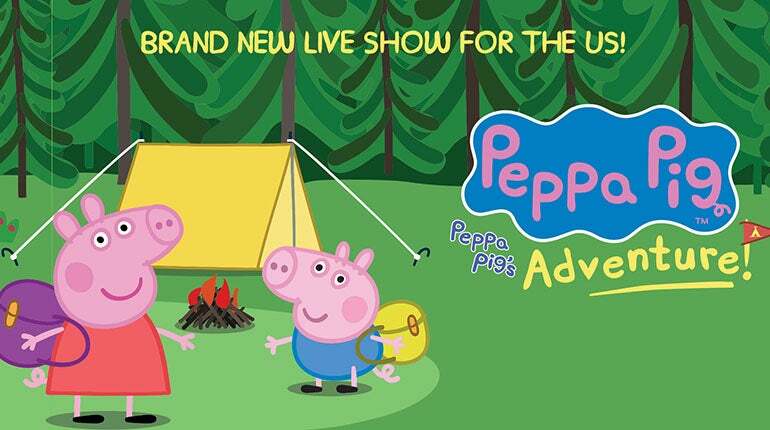 Peppa Pig, George and their friends are back with a brand new live show, Peppa Pig’s Adventure. The latest rendition of Peppa Pig Live!, one of the most successful family theater tours in North American history, will visit cities coast to coast in the United States including Thousand Oaks on November 13 at Thousand Oaks Civic Arts Plaza. Peppa Pig Live is based on Entertainment One’s (eOne) top-rated Nick Jr series that airs more than 30 times per week and reaches over 75 million homes daily. The various tours have sold over a half a million tickets while logging more than 340 performances in North American cities since 2015.